Pest monitoring Pheromone traps can be used to monitor for cutworms prior to planting. If the cutworm population is reducing the plant stand after planting, treat during the early seedling stage. Frequently, the damage is most serious at the edges of a field, but stand loss can occur in a spotty pattern throughout the field. Usually, it is necessary to dig in the soil to find cutworm larvae and to determine the extent of the infestation and the size of the cutworms involved. Larvae normally hide under debris on the soil surface during the day, but they are active, voracious feeders at night. Since extensive damage may occur in a short period of time, inspect plant beds and newly set plants frequently. 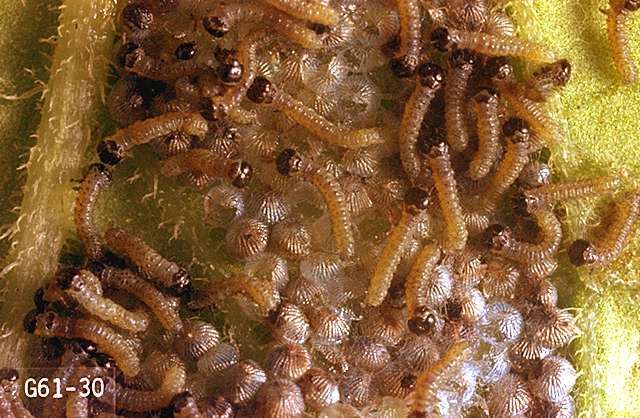 In North Carolina, an economic threshold of 5% injured plants is used for cutworms infesting newly set or young plants (within 3 weeks after transplanting). In Ontario, Canada, the guideline for black cutworm for many seedling vegetables is also 5% plants infested. 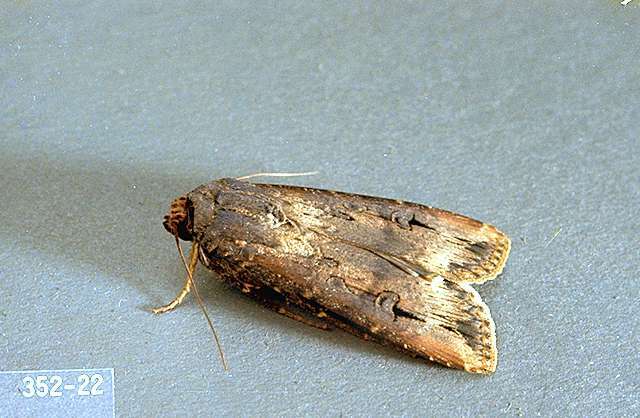 Cutworms are attacked by a number of predators, parasites, and diseases. Many of these natural control agents are not effective on pale western and black cutworms because of their subterranean nature. 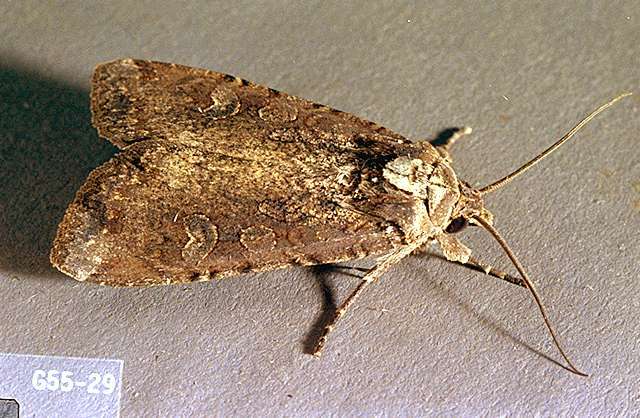 It is not known if any of these natural enemies can control cutworm populations, but their presence should be noted and taken into consideration when making a pesticide application decision. If pest numbers are relatively low and the natural enemy numbers are increasing, pesticide applications may be delayed. Keep scouting. Cutworms are most injurious in fields with high plant residue. Historically, cutworms are a problem in early, spring-seeded seedling fields. Tillage prior to seeding is effective in preventing cutworm damage. A thorough harrowing may provide adequate control when cutworms are feeding actively in established fields. Weed control is important. Lambsquarters and wild mustard attract egg-laying females and provide a source of food for larvae. 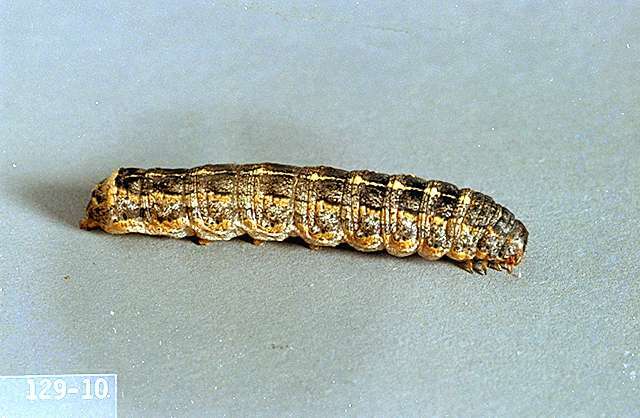 Fall tillage can help destroy overwintering pupae. Bacillus thuringiensis (Javelin, Xentari) at 0.5 to 1.25 lb/a formulated product. PHI 0 days. REI 4 hr. Slow acting. May need multiple applications. Add an appropriate spreader-sticker to enhance control. Most effective on small larvae. Some formulations are OMRI-listed for organic use. permethrin (Loveland Permethrin Cutworm bait) at 0.1 to 0.3 lb ai/a. PHI 0 days. REI 12 hr. Do not exceed 1.5 lb ai/a per season. Retreatment interval 10 days. Limit 3 treatments per season.